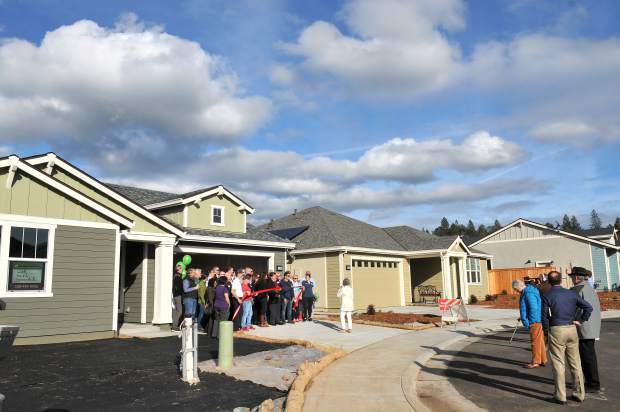 Home builders take part in the ceremonial ribbon cutting ceremony Tuesday at Ridge Meadows in Grass Valley. 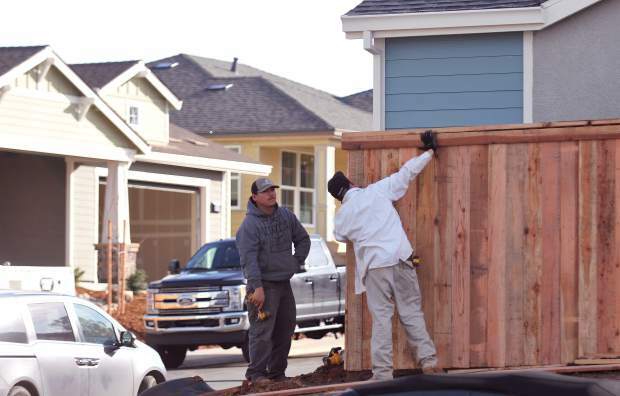 Construction workers continue to work on all phases of home building at Ridge Meadows. 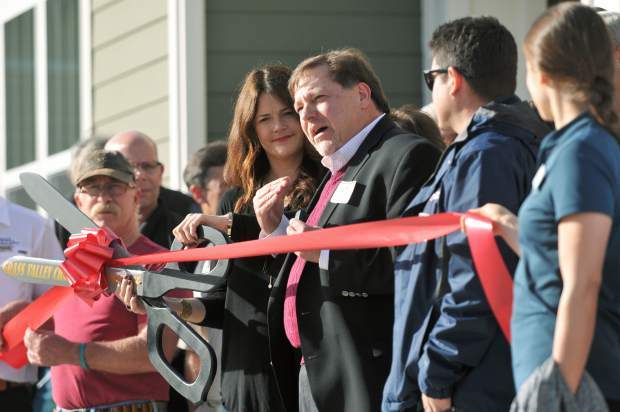 Towne Homes executives from Sacramento take part in the ceremonial ribbon cutting ceremony Tuesday afternoon in Grass Valley. Many homes are still under construction at Ridge Meadows. Many homes in the first phase of construction have been sold, though many are still available in the coming phases of construction. 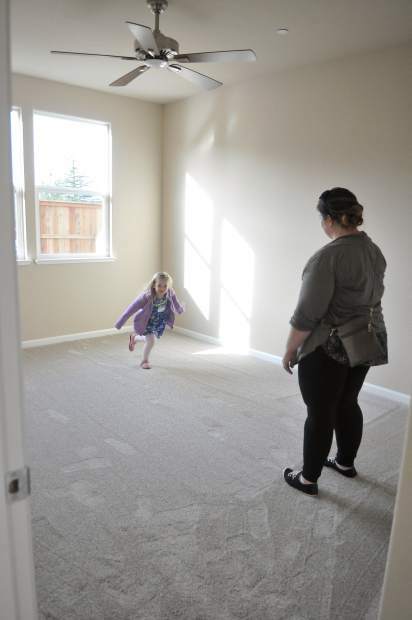 Ashley Harris and daughter Julia, walk through one of the recently finished homes off of Oliver Lane in Grass Valley. All phases of construction are currently going on at the Ridge Meadows development site, from foundation pouring to handing over the keys to new owners. Towne Homes' Ed Meadows and new Towne Home homeowner Vicki Marque, smile in front of one of the Ridge Meadows homes that has just been completed in Grass Valley. 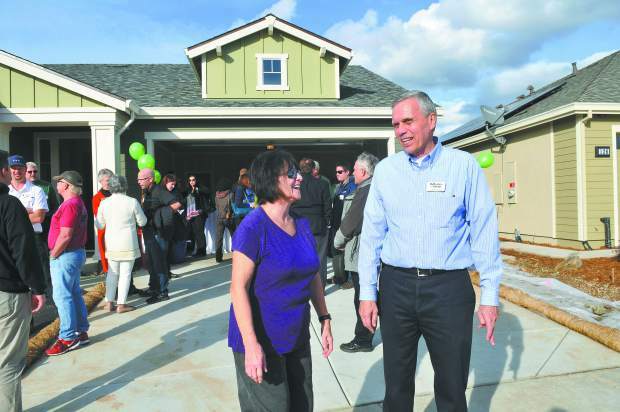 The first new-home development in Grass Valley in years hosted a grand opening Tuesday. The very first homeowners actually moved in right before Thanksgiving, however. 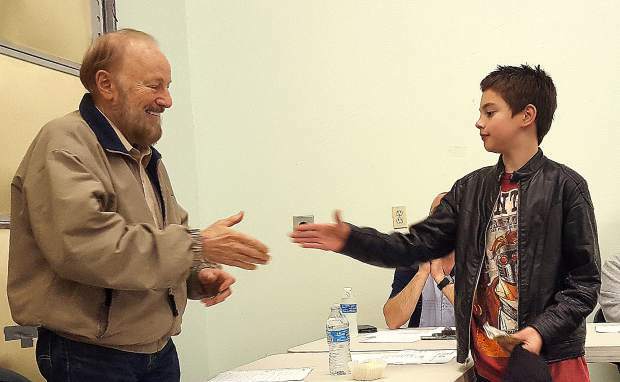 Emily Reichert, who traces her Nevada County roots back five generations, said she and her husband bought the last house in the first phase of development, but were the first to close escrow. 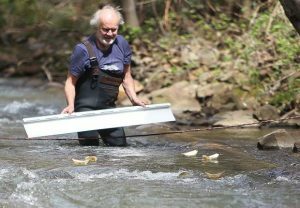 Ridge Meadows, which sits on a 9.2-acre site on Ridge and Upper Slate Creek roads, was originally brought before the Grass Valley City Council by another firm and approved in 2007. Homes by Towne acquired the project in 2014, dropping the project from 49 to 37 residential lots. Director of Sales Christine Fore noted that Cascade Crossing, which features 79 homes off Combie Road, sold out last year. 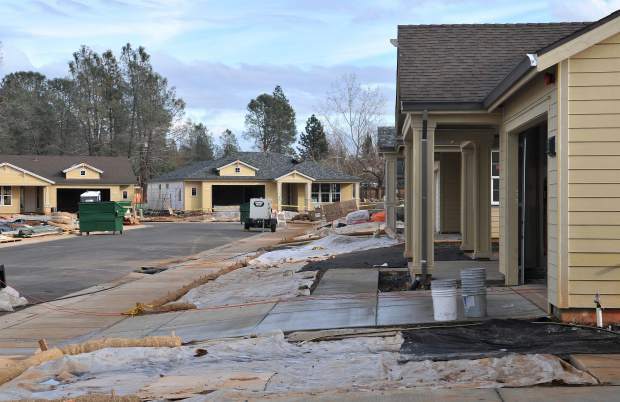 And Homes by Towne’s next development on the Berriman Ranch property south of Grass Valley is slated to bring another 30 homes to the area, for a total of nearly 150 over the last few years. 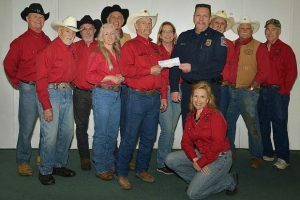 The Berriman Ranch development is still in the site development process, Fore said. “We’re in a holding pattern until spring,” she said. The biggest challenge, she said, has been the actual building, dealing with hilly, rock-studded building sites. And, she said, a labor shortage slowed work down, as did bad weather last year. “But we’re over that hump,” she said. Twenty-two of the 37 lots at Ridge Meadows have been sold and eight homeowners have moved in. Current homesites that are still available are in the 1,730- to 1,946-square-foot range, starting at $420,500; some of the finished homes available for purchase feature stainless steel appliances and gas fireplaces with prices north of $435,000. 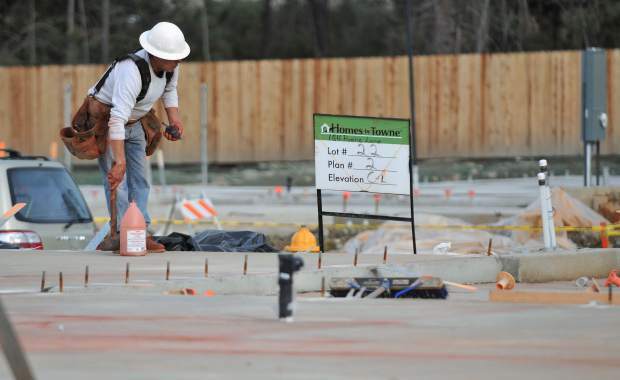 Sales associate Alex Strom and Fore said that while Cascade Crossing attracted a lot of homebuyers from the Bay Area, Ridge Meadows appears to appeal more to locals who are looking to downsize. 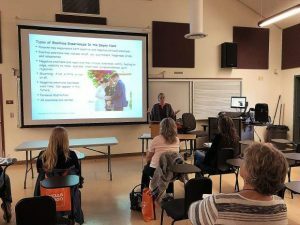 Strom showed off one nearly 1,500-square-foot, three-bedroom model that, she said, had sold to a local woman looking to scale back from a 40-acre property.